I have been debating for a month or so whether to start sharing monthly income reports. On one hand, I know its something that most people like to see because its both inspiring and informative, on the other hand it feels a little odd to share how much money I am making. However, after discussing it with several people (some for and some against), I have decided to go ahead and start sharing my monthly income. The purpose in sharing these reports is to simply reveal what business strategies are working for me right now and to hopefully motivate you in your own business ventures. I offer these numbers simply as proof that what I have been talking about really works: Niche websites, Google Adsense, and other techniques. In a way, I hope these numbers help you cut through all the noise that you hear out there like, “Google Panda is killing niche websites”, “You can't make real money with Google Adsense”, or “Search Engine Optimization is no longer a good business strategy.” In my opinion, all of these statements are false – and I'm providing my income as key evidence for that opinion. Before I breakdown the income numbers, I wanted to share what I have actually been doing to build my business over the past month. My focus over the past couple of months has been building niche websites. I don't know the exact number that I built in May, but for the period of April and May I started about 30 niche websites. I have already started to see a return on these new niche websites – about $10 a day or so. While I am happy with the way these sites are progressing, I have decided to start targeting some bigger keywords this month. These 30 sites that I built target low search volume (between 1k and 2k exact match searches primarily). So, instead of 30 sites, I expect to build about 3 new niche websites in the month of June that target higher volume keywords. Also, in May I launched the Niche Websites Hub! This is a central location where I am keeping all of my posts that are related to Niche Websites. This is free information that you can use to build your own niche websites business. While this has not lead to any income on my bottom line, I do expect to start monetizing this blog in the future and I expect this “hub” to help add to the authority of my blog. In addition, I am also planning on launching an iPhone app. As I have discussed on this blog here, I am in the brainstorming phase of this iPhone app and I will be sharing the details with you step by step as I actually get into building the application. Finally, I have been working diligently on getting a new version of my Long Tail Pro software ready for release. One of my programmers on the project had to leave the job which has led to some unexpected delays. However, I still expect to get a beta version of this powerful new software out this month. At this point, all my income comes from niche websites. I am not making money from coaching products or selling my own products to others; I am making 100% of my income from my own niche websites. So, I am NOT just someone that talks about niche websites and then makes a bunch of money off of selling you products about it. These sites get almost all of their traffic from natural search engine traffic from Google, Yahoo, Bing, or other search engines. I do get some traffic from other article directories or sites. I currently have 183 niche websites. Lots of these sites contribute to the income that you see below, but many of my sites also don't make anything. Its just the name of the game. Most of my sites do make money, but there is always a few that flop. Although I have to admit that I have gotten a much better success ratio the longer I build niche websites – I'm getting better at it! Here is a quick breakdown of where my income came from this month. Remember, all of this income came from my 183 niche websites. The “Niche eBook sales” comes from an ebook that I had written for one of my niche websites. This particular niche website is a career related website and so I hired a professional in that niche to write an ebook that I could sell on my site. Just wanted to clarify what that was. I am extremely happy with my earnings and ever grateful for what I have been able to accomplish! I have worked lots of long hours over the past few years to achieve what I have at this point. The success of my business is opening up other opportunities for me to pursue – including helping others. In addition, I hope to be spending more time in the future improving the lives of others in some way. I hope to be able to give back in some way for the success that has come my way. I thought it might be interesting to share how much I made on my highest earning day. Obviously you can figure out what my average day was last month, but every once in a while I will have a high earning day that surprises me. 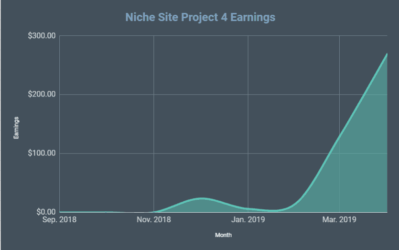 So, if you want to see how much money I pulled in on my highest earning day head over to the Niche Pursuits Facebook Fan page here. Simply click the “Like” button and you will see how much I made. Yes, this is a shameless plug to get you to join my Facebook page! But I plan on sharing more on more through Facebook, so I hope to make it more useful for you to be a fan as well. See you on Facebook! I am interesting in hearing your thoughts about my first official monthly income report. Let me know what you think and if you have any questions, let me know! If you liked this post, please consider sharing it on Twitter, Facebook, Digg, or other social networks that you see to the left. Thanks! Thanks Kevin! Lots of keywords – don’t worry! What is so unreal about it Kevin? There are people making ~60000$ per month with AdSense doing what Spencer does. Great job ! 😉 Congrats! Do you do private consultations work? I´m interested in building niche websites and i would like to work with a mentor rather to figure out everything for myself. No I don’t do consultation work or mentoring at this point. So most of your income is via google adsense. What do you find to be the best layout for adsense sites? Also, a two or three column theme? I use dozens of different themes and layouts. 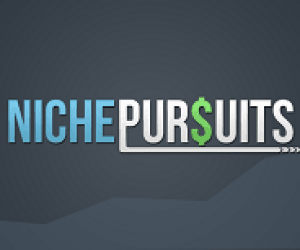 However, I will be covering all of your questions in detail in the future on the Niche Websites Hub: https://www.nichepursuits.com/niche-websites-hub/ . There just isn’t room to do your questions justice here. Wow…thats great…I have to find a way to replace my income since im getting out the military in Aug. so yeah…im working on my Adsense sites now. Desmond, best of luck serving in the military – I have so much respect for you and others willing to serve their country…thank you! Best of luck in your business efforts. Quick question – do you ever worry about getting banned by adsense and having all of your income go away ?? I love following your blog, and would love to see a monthly earnings report. Hopefully its not depressing – but motivating for you! Its just where I put my focus, for example, I make nothing on Amazon – but others do very well with it. I just happen to focus and do well with Adsense. On Your Way. Great job Spencer. Congrats with your huge income!.. It seems like impossible for me to build that many sites in such a short period! I built only 5 sites in the last 4 months and just made a couple of cents with them (3 Amazon review sites and 1 adsense site). Its great to hear somone is doing well,but i have a couple of questions how many post or pages in each niche website do you have and is each post or page targeted to a specific keyword ie bad acne or not so bad acne you know what i mean. The other question i have is do you outsource your article writing and if you do in your opinion where is the best place to get it done. Just one other question why are you not on skype i would like to talk more about your marketing efforts and not just email. I target a new keyword for each post. However, my main focus is for 1 keyword per website. The other keywords are all secondary and I usually don’t receive much traffic for these anyway. Also, I use textbroker.com for article writing. 1 keyword per website? You mean main keyword of course, right? If so, then what if you do not find exact match domain? You regsiter domain with suffix and build backlinks with main keyword in anchor text pointing to your homepage? That’s correct 1 primary keyword per site. Of course there may be other secondary keywords – but they are really not a focus. Yes to your other questions. Thanks for sharing all this information, its really informative and motivational as well. One question though, After putting the keyword in the Website title, do you make a post (article) containing the key word? Spencer, out of the 183 niche sites, what percentage are product related? By product I mean TV,blender, speakers, etc. Do you focus the site on, say cameras, then have five pages with camera reviews? Barry – That’s difficult to answer. For example, out of all of my sites only a couple of dozen are focused on products that would be available on Amazon.com. Other sites focus on larger products not available on a website (can only be purchased offline), then I have a lot of information based sites. I tend to do better with info based sites. About your info sites, I have purchased niche building courses where the guru tells me to avoid medical conditions and focus on internet marketing tools, poker, dating, and other gurus say go for the acne high traffic markets with high CPC…..which do you do? I haven’t targeted any of those niches you mentioned for example. If you read my free guide here, you will get a better idea of what I target: https://www.nichepursuits.com/get-the-free-version-of-my-long-tail-handbook/ . Its lower traffic (between 1k and 20k exact searches typically) and high CPC (over $1). Thanks for the ebook! I have heard that google does a manual review of your sites once you hit the $100 a day mark…did this happen to you? If it did (how would I know? ), you can see my income is still there. Hey Spencer! Nice work and nice post, it give me a lot motivation to build my own niche sites. Thank you! What is the average amount of posts/pages per site? Average is probably 5 to 10 pages. My sites usually start with 5 pages and then I will add more content as needed. I do have a couple of sites with over 100 pages, but this is pretty rare for me. My highest earning sites actually only have about 20 pages of content. Just to give you an idea. I have the same question , how many posts to make for a page ? Okay, I meant I make 5 to 10 posts per site, not pages. I think you’ll build a large following by posting your month to month changes. I am looking into Adsense again after trying many get rich quick schemes. I set up a site about 3 years ago and with no work at all, it brings in $20 per month EVERY month. So about 3 weeks ago I decided to start building more sites. It turned $8 last month with no additional work. Now just rinse and repeat! Awesome! This is exactly what happened to me. I built a couple of sites and forgot about them. I tried every other way to make money for a couple of years and then realized that these 2 sites were making me about $20/mth hands free each. I have replicated the process about 200 times now. Jay you probably already know everything you need to know, just scale your business now. Hi, I saw that one guy above asked how many pages of content per site average and that was my question too. So, that’s my question; your home page focused on one page ex match to the url and then how many supporting pages? I start with 4 to 9 supporting posts (for a total of 5 to 10 posts). That’s nice! Thanks for sharing the numbers, Spencer. I’m looking forward to reading the Niche Hub stuff as you release it too! Awesome! Keep up the good work. Thanks for sharing everyting. Its very motivating for the rest of us. I was wondering if you have a goal to start trading up from the samller niches and start targeting the more competative keywords. Just curious…. Jayson – low competition is my bread and butter; but I am going to test a few niches with higher traffic and perhaps a little higher competition. However, I still dont expect the keywords to be extremely competitive. Certainly something to look forward to once I can get my feet on the ground. Thanks for sharing. What were your expenses like? Trever – the expense are actually very little when compared to a typical business. My expenses are easily less than 20% of that income and would be even smaller if I didn’t continually build new websites. In other words, if I just left my old sites alone, my income would stay about the same and I would only be paying for hosting/domains. Its a very high profit margin business. Adsense is one of the easiest way to make money online(I have learned it from lots of testing) while with cj , amazon or any other affiliate program you need to get traffic after that make quality content that converts and also make your customers buy before the cookies are cleaned . But with Adsense you need to target high paying keywords with relevant traffic and also quality content and place you ads near content so you get a higher CTR. How much is normally paid for each article on Textbroker? Aldo – agreed! I usually spend around $7+ on articles from Textbroker. What kind of article quality do you usually order in textbroker? Based on your $7+ spend per article it’s probably 3 or 4, is that correct? I use level 3 typically, but sometimes I use level 4 – never level 2. I would love to hear how you perform your keyword research…i mean how do u find these low competition keywords…do u use some special tool? I shared some of my brainstorming process a couple of days ago on the Hub: https://www.nichepursuits.com/niche-websites-hub/. However, I will be sharing MUCH more in the near future. I will discuss software I use as well. In most of your scenarios from what first page position you are you getting constant income from a website? It really depends; however, anywhere in the top 10 usually gets consistent traffic. Top 5 is much better of course. Yeah Adsense does work! I first started back in 2008 and at that time i only made about $2 dollars a month. Now I am back with a new site and this one site avg. makes me about $120 a month. Now just got to make more of these sites, rinse and repeat. I have read Spencer’s notes and others and just implement what works for them. just want to give my personal feed back. Also, almost forgot, Spencer when will you release the New update to the Long Tail Pro software? And what new features will be introduced? Great to hear you recent success! The new update to Long Tail Pro could be done as early as next week. 15k is mind blowing Spencer, congrats. I focused on adsense sites last month and hit $965, up from around $400 the month before. Pretty cool considering I was in on vacation in Jamaica for 1 week last month. Well Gabe you are in the path of reaching 15k like spencer. you just need to buy some new domains out source content and backlink building and you are almost good to go for increasing your amount of money each month. This is the nature of adsense – getting $ for clicks, so the income is consistent..
I’m doing affiliate sites and still sitting around $4000-5000 (actually besides all the google updates and losing top positions for most of my sites, I’ve managed to get to $5K in May). Adsense is on my serious to-do-asap-list – I have an aged domain, and exact category – just need to start doing content and promotion… Are you still using Textbrocker writers? Yes, I still use textbroker.com. Great job on your site Anton. I think you will like Adsense. Great. This is really helpful. I have been hearing a lot lately about EMDs loosing their power. What are your thoughts. Should I continue buying EMDs(From snapnames, private owners) or is it not worth it anymore? 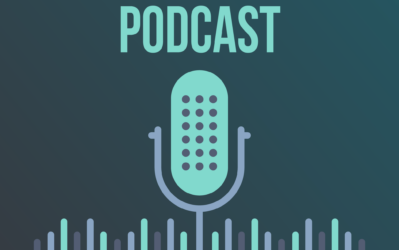 Listen if you get a good EMD and have good content, then you are golden! Simply having an EMD will not do it. You still need to have good content and a good SEO strategy. All of that combined you will have success. I think that Spencer would agree.. I agree with Andrew on this. Buy an EMD if its available (most of my sites are); however, if you find a good keyword and the EMD is not available just add a suffix (like pro, hq, now, etc) and build the site. Supposedly Google is placing less emphasis on EMDs, but I haven’t seen it affect any of my sites yet. Its not critical to have one, but I would still do it if you can. Well one day i will be having 1k domains. and 100s of big sites..$1000 to $5000 per day…hehe just like you. I like to try your long tail pro for free. if you don’t mind. I suggest you to diversify your income right now. Concentrate on amazon, clickbank. Google is known to trash small adsense publishers with many niche sites. Rahul – if you are an existing user of Long Tail Pro, you will receive a free copy of the new version. Great Spencer! Every time I’ve got an email from you on my inbox it makes me excited :). From yesterday “+1” was showing up on my adsense account…Do you think it will affect the seo thing??? imagine how many people will blackhat the whole thing clicking on +1 to rank their sites,we will find 5000 +1 on fiverr and so on…. I don’t wanna put this on my site,I don’t wanna google controls my sites like the analytics. Could you share your backlinks outsourcers with us??? Federico – I am still researching the +1 thing. No opinion at this point. I don’t plan on using it until I know more. Secondly, there is nothing special about my linkbuilders. Any service would probably produce the same results that I am getting. The thing that makes my business successful is my ability to find low competition keywords that don’t need many links. What is the average CPC of the keywords you choose? My minimum is $1 – higher is better. Are all your sites on WordPress? Which plugins do you use for on-page SEO? I have all my domains on manual review. Its really not that hard to review them. All sites are wordpress. I use all in one seo pack. Thanks so much for deciding to post your earnings, you hear so much rubbish on the net about whats possible that this post is a breath of fresh air.Please continue to do this as I fine very helpful and inspirational. Dave – thanks for sharing, I truly appreciate it! My first time here and this is super inspiring! I already have tons of question for you (good luck!) but first I’ll read the free version of your e-book. Looking forward to exploring your site here. Thanks for stopping by! Feel free to post your questions after reading the book…thanks! Nice to see you decided to continue sharing your earnings. Im starting to look at Adsense again. Thanks for sharing your income reports. I can definitely understand people not wanting to be that transparent, but it really is appreciated. Great work! And I too need to reconsider my thoughts on AdSense. I had mostly written it off given some previous experience which was pretty much a bust. Inspiring stuff and thanks again. Whoa! You’ve dug yourself a gold mine. $15k/month is crazy! I am very impressed. How long did it take you to make this much? Also what templates are you using? Zack – I started building sites in 2006. However, I didn’t really start building niche sites seriously until about a year and a half ago. I use lots of templates, I think my free ebook lists a few of them. Spenc this is truely inspiring! How long have you been building google AdSense sites? Thanks! As mentioned in the previous comment I really started focusing on adsense sites about a year a half ago. Great Job !!! I want to swear…lol and ask HOW !!!! How do you do your Adsense work ? I started my site in May and I’ve had success (small but I’m on the 1st page of Google for my main Keyword) But adsense miffs me as to how to position it on my site. Thanks Steve! I will be answering all of those questions you pose for sure. Wow! Awesome Spencer! Your earning in adsense has become my motivator and I’m looking forward to post my adsense income once I can reach 50% of your target! Great job! Best of luck – it really does mean alot to know that this is motivating in some way…thanks! Great Job. You have been of great help and also motivational for me. As mentioned in my previous post, I was really down for month of May but looking at this post motivates me to continue on. 1) Are you allowing all the third party advertiser in Blocking options – ” Advertiser URLs” section of adsense account. 2) Also have you blocked any general category. 3) Are you allowing placement-targeted ads on your sites. I believe thats a Yes on all 3. (Guru or new.. does not matter), you are pounded with WSO affiliate links. 6 figure income by next year! Gautam – yeah I rarely if ever promote affiliate products. Glad you like the no hype zone I try to create here. Best of luck with your niche site portfolio! I do not believe your earnings unless you attend SMX Advanced for free and come hang out with me in Seattle in a week. Very funny Chris! I know you want me to go – I’ll take a look at the link you sent me earlier and get back to you. lol – see you on Skype and congrats on the earnings. Nice to have Spencer and Chris Guthrie in the same place. Chris I have being using your method for making money with Amazon (I’m having my first check from amazon shipped already), I still trying to break to the 1k with amazon but I think is a little bit harder than Adsense for the reasons I explain below. 1 -Get a keyword you can rank with good traffic (With Exact Keyword Domain) . Since Buying is harder than clicking Ads on Adsense , Amazon could be harder at a point. Chris do you have some methods or tips you can share with us for increasing Amazon Sales today? Spencer what percentage of your income from AdSense is taxed? My tax rate will be based on my entire income for the year, the more I earn, the higher the tax unfortunately. Do a search on US tax rates for more info. I’ve obseved a lot of ‘pro bloggers’ critising adsense and preaching on their blogs that its not a good income stream to use…while on the other hand still monetise their ‘other blogs & websites’ with adsense. I just don’t get it why they thrive on double standards. Spencer, you’re a HUGE motivation and your clear presentation of content makes it easy to understand the niche building journey. Hi Spencer how do you promote these sites to get traffic. Paul – its all free search engine traffic. So I focus on ranking my sites in Google and other search engines. This is done by choosing good keywords to target, on page optimization, and link building. These questions will be answered in the near future…stay tuned! All of the above basically. I don’t limit my adsense earnings per account as you mentioned, but I do have multiple business entities – each of which have their own adsense account. So my sites are spread out over multiple adsense accounts. Thanks for sharing your earnings with us Spencer, very few people would do that on these days, really appreciate it. Have one question for you, how do you do to manage all your sites? I mean, do you have some sort of centralized wordpress account where you can see stats for any of your websites at any moment? how do you do when you think that adding one more ad space would benefit your site? 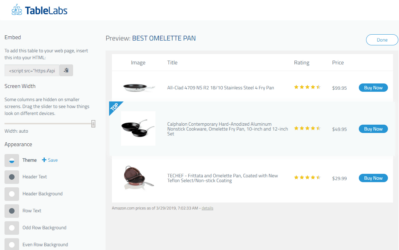 do you go site by site and adjust the template manually?. Also, I am very interested in Jason’s last question to you. I just use regular WordPress, no centralized system – although i’ve been looking into that lately. It really isnt that hard to manage all the sites, most of them are not touched once they are built anyway – it really is a passive income stream. I just adjust individual sites as I see fit. I really don’t spend very much time at all maintaining my sites. Unreal is right .. like OMG Spencer $15K!!! Knock on Wood!! Big PAT on the back dude!! Thanks Witchie – its great to see you are still following along here!! I had no idea what your success was! Pretty impressive. I am happy you found success after the many years and long hours of research and experimentation and personal sacrifice. Obviously you have a knack for spotting those opportunities the rest of us are letting slip by. I like the mentality you exhibit that there is enough and to spare and are willing to share what you have learned. Not everyone is going to be successful at what you do any more than everyone would be successful at being a doctor, but it is nice you are sharing in a plain a language as you can what you have learned and those willing to work as hard as you have can be just as successful. I am excited to see what happens with the iphone app. Wizard: Thanks for the feedback! I have struggled back and forth whether or not to share all the information that I have on my blog for free. After all I am basically training my competition of niche website builders. However, as you mentioned, I really do think there are SO many niches and keywords that could be targeted, that there is plenty to go around. Hopefully, that will continue to be the case and others can enjoy some of the success that I have seen as well. Wonderful, wonderful. I love these income posts and look forward to them. And I think I asked you about Market Samurai or what about getting backlinks via pingbacks vs. one-way links to new sites, so I’ll mosey on over to that old post to see your answer. Paula – Yep I have a great CPA who has helped me out with my business structure, etc. He already saved helped me save some money on taxes last year and will do the same this year now that I have all my entities and tax structure set up properly. Yep, I answered your question on the other post already. Sure, I’m always concerned Google will do something – but as discussed in the comments above (and as will be covered in future posts), I try to abide by Googles guidelines and I take other precautionary measures as mentioned previously. Dude, you are crushing it. Keep it up. And by the way, these reports are HUGE motivation for everyone else, so I’m glad you decided to start doing them. Thanks Eric – Im glad these posts are motivation, I appreciate the feedback! Keep them coming…they sure are motivators. We just started in December and are at about 33% of your income for the month of May. It’s interesting to see/find someone else whose main source of income comes from niche sites as well…we’ll be following your progress. Hopefully, we can turn it into a healthy competition…we’d love to catch up by the end of the year! Sounds like you have a great network of sites out there doing pretty well! $5k/mth is AWESOME for only having started in December – incredible. I’m up for the competition! I hope to be difficult to catch by the end of the year, but good luck trying! I noticed a few things there that would probably help here significantly. We’re just getting our site up and running, but I’m hoping to take some of the ideas from there and implement for us as well. Anyway, great chatting! Best of luck and here’s to hoping we’re BOTH over the 20k/month range consistently by the end of the year! That’s mad. Makes my 1500 a month look paltry! One “take away” that I think many who get mired down in keyword selection, EMD finding, link building, etc. miss the point of. 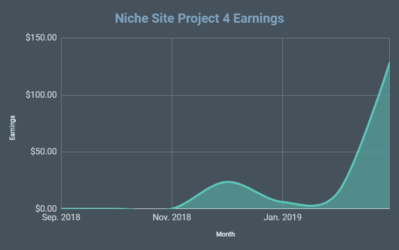 If you get busy and actually _build_ a significant number of niche sites, Google themselves will tell you exactly which ones are winners and which ones you can slough off. Theory is theory, paychecks are paychecks. Spencer, Just found your site via Trent’s OnlineIncomeLab podcast. Of course, the first post is read is the monthly Income post. Just reading through more of your site and your content is awesome. Looking forward to reading the archives and future posts. Jason – glad you found my site! Truly inspiring, thanks for posting Spencer! My highest month with adsense was $5000, and then slowly declined from there. I was too content with the passive income and didn’t keep on pushing for better results. And that was a lucky month for me, the following months are now less than $1500 per month. I really need to up my game in building niche websites. I’ll follow your guides closely. Thanks! It always makes me laugh when someone says ‘I only make $1,000, or $100, per month’. Always remember that your current income level is someone else’s dream level. I am not saying that you should be satisfied; only that you should be proud of whatever level you are at. Only then can you appreciate the journey! Hey Spencer, I found your site through the Smart Passive Income Blog. I was listening to his Podcast when he mentioned your $15,000 month in Adsense, and I was like, okay, I have to read his blog. I’m making about $150/month on two sites. I want to start building a network of niche websites, so, I’m glad I found your blog, I really feel like it’ll help. Hey Kenny – yeah I didn’t know Pat was going to mention me, so that was nice! Thanks for stopping by and you are off to a great start with $150/mth. If you have been able to get to that level, there is no reason why you can’t replicate that success many times. I will be digging into all the details here on the blog about building a network of niche sites, so feel free to comment along the way! Spencer, thanks so much. That’s really encouraging. I used to switch around too much with different ways to make money online, now I’m focusing on Adsense sites and another site I use to set up WordPess for people. I love Adsense and I feel like I get better with each site I make (like you say yourself). Thanks for the encouragement and I look forward to reading more great posts! I’ve noticed that over 95% of your income is coming in from AdSense only. Have you worried (as we do, a bit) about the lack of diversification there? Along with that, less than 5% of your income is coming through other various sources, but I’m sure those other sources took up more than 5% of your time. Do you feel they’re worth the mismatched time vs income (if that’s true) enough to where you’re going to explore them further and try to increase their revenue as a percentage of your overall income? Or would your focus be better served on your real money maker (AdSense) at this point? Well, that’s a big question. I look at it differently. I don’t think monetizing my sites with something other than adsense is actually diversifying my income. The true source of my income is the free traffic I get from Google. So, really for me to be comfortable I should diversify my traffic sources away from Google. However, I can’t do that with niche websites. So, this business model comes with that inherent risk that you can never fully diversify away from Google. In order to diversify my income I am taking on projects completely outside of niche websites – like my Long Tail Pro software, iPhone apps, etc. Monetizing a site with something other than adsense will not diversify my income in anyway really. Its the traffic source that you need to be worried about. So, for that reason I would NEVER diversify out of adsense because it just earns so much more than other sources. I am also fully aware that my sites are at the mercy of the search engines; and so should everyone else that is involved in this business. I’m not sure what the average traffic is across all of my sites; although 500 uniques is pretty high per site – I don’t get that much. Of course some of my sites get much more than 500 uniques a day – but I really don’t know what the average is…I’ll have to look into that. even when they are under construction. I found another site same domain name abc.net (with .net extension) but this site has has a severe penalty will it affect my abc.org site? but this site has has a severe penalty will it affect my abc.org site? The other domain will not affect your domain. I don’t know why you aren’t indexed yet. Lou – I have done both – static homepage and posts on homepage. My conclusion is that it doesn’t matter. I have websites ranking #1 in both cases. I will be doing a full post on linkbuilding in the future. You can hire people on the warrior forum (which i have done alot of) to build links from Unique article wizard submissions, private blog network submissions, article directory submissions, or many other things. Just pick a good service that builds links and give it a shot! Many thanks, sorry for late thank you 🙂 Latest on top 10 google analysis is so to the point and easy to follow as usual, i cannot believe the time you take to help us all out as well as building your sites. “Gurus” should take a leaf from your book, many have replaced their hearts with their wallets and pay cheques! Interesting. It looks like these are ads for a parked domain? I know that is an option in Google Adsense – but this isn’t a parked domain. I really don’t know anymore than that – as this is not an option for the typical publisher. I do know that some large publishers get customized ads, perhaps this is the case here. Really odd ad blocks there! Wisegeek.com is one of those huge non-niche article sites. We’ve come across them quite a bit. They’re one of the sites that, if you see them on the first page when doing your checking competition for keyword research, you get excited about, knowing you can outrank them pretty easily. Hi Scencer, you build 183 niche websites. Are you blogging also on blogger for your niche? 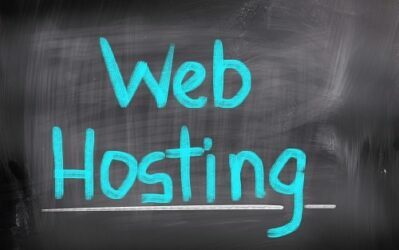 Hi Spencer, what do you think about using a prefix vs suffix for domain name when EMD is not available? Is there any difference between using aboutkeyword.com vs keywordhq.com? Hi Spencer, weren’t you earning around $5000 from Adsense about half a year ago? Going to 15000 sure is a huge improvement! Personally I’m at around $1500/month with Adsense and working hard to improve my earnings. I think I shared my first ever income report about 7 months ago on my previous blog and it was $7500 at that time I believe. Yes, I rebuilt some websites on keywords that I knew could be high earning and those have really done well in the past 6 to 7 months. Best of luck as you try to increase your earnings – you’re doing pretty well! Your internet success story has struck a chord with me because I, like you, have trying for 3 years to start a full time career in internet marketing. Only now am I am starting to give it the time and effort needed to achieve results. I browse many blogs, but yours is one I will bookmarking to come back to on a regular basis as you come across as having knowledge and a down to earth nature. Just one question…. I read on your previous blog that you were considering not using the Google Webmaster tools due to concerns about what Google ‘see’ (i.e. All of your other sites). Did you stop using them in the end or not? (I think the post I am referring to was from Nov 2010). I no longer use Webmaster tools or Google Analytics at all. I rank very well (#1) with lots of these sites that don’t use all the Google tools. (I only mention this because some people might think that using Google Webmaster tools help in indexing or ranking better…it doesn’t from my experience). -I’m a bit new and I want to quit my day job and realize a 4 figure income, it’s better to built A lot of niche site like you did? or taking care about 4-5 niches sites and continually puting original content and increasing traffic? Start with 4 to 5 and see how it goes. If you CAN grow those…great. But if you need to build lots of other sites to expand your income even more…go for it! Hi Spencer, awesome information you’ve got here. How many kws do you target in each of your sites approximately? Do you choose all that have over 1000 local exact match searches and $1 CPC? Do you care if the competition is high? And are all of these kws closely related to your EMD? Thanks! I target 1 primary keyword, then each new article targets a separate secondary keyword. 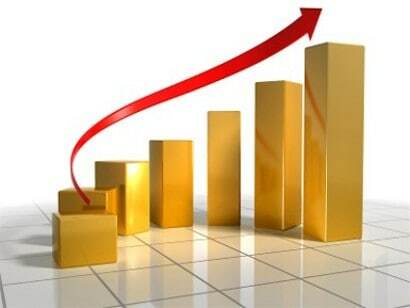 But my main focus is on the one primary keyword – and you will find as I’ve shown here, that you will also start ranking for these similar long tail keywords.